Although there’s plenty to explore in the mainland area of Spain, it’s the Costa areas that attract most of the tourists, and it’s easy to see why. From the sparkling sea, to sandy beaches, the Costas are a great holiday destination for all kinds of travellers. Some are full of tourists, some little-known, so don’t just choose one to visit. Exploring the Costas by sea is a great way to see the natural beauty of the area, and here are just a few of the ways you can get around. 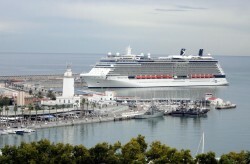 There’s nothing quite like a relaxing cruise, and there’s no shortage of ships stopping in Spain. Choose between a cruise which exclusively explores Spain and its islands, or a Mediterranean cruise that will allow you to explore some of the south of France and Italy too. Popular cruise destinations include Barcelona and Benidorm, but you can also find cruises that stop in less touristy areas. Look for itineraries that include areas like Costa de la Luz, an unspoilt destination that gives you a more authentic Spanish experience. 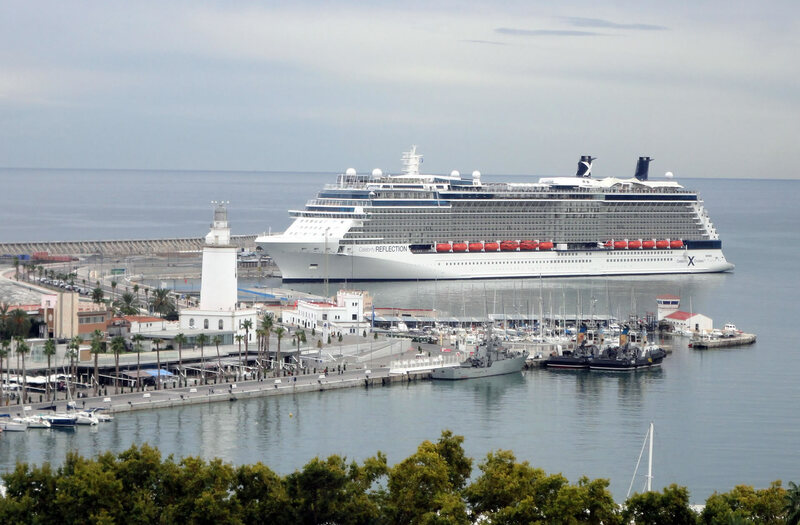 The beaches are quieter, and many cruise lines stop near exciting cities such as Cadiz, an Andalusian style city which combines old and new architecture. The main advantage of this kind of travel is that you get a little taste of all the Costas, perhaps helping you choose somewhere you might want to visit for longer in future. With the availability of cheap flights, many holidaymakers have forgotten about the humble ferry. Not only can you get to Spain fairly easily from the rest of Europe, but thanks to Acciona Trasmediterránea, you can easily travel around the Mediterranean region. Ferries are a slower alternative to flying, but they mean you can take your car, spend some leisure time on-board, and generally have a more relaxed journey. Acciona’s routes include stops along the coast, Canaries and Balearic Islands, making them a great choice for the independent traveller. You can even hop across to North Africa, giving you endless options for exploring the beautiful Mediterranean. Those with longer journeys can enjoy basic but cosy cabins and a range of entertainment. It’s not quite as luxurious as a cruise ship, but tends to be a reliable and comfortable way to get around. Most people associate yachts with the super-wealthy, but it can be a surprisingly cost-effective way for groups to travel. If you already have your RYA (Royal Yachting Association) certification, it’s easy to find a yacht to hire. There are also many schools located in the Costa areas where you can earn your stripes before heading out to sea. A great gentle beginners trip is to sail along the coast of Barcelona. Sailing from the old Olympic port, you can see the city from a whole new perspective, and taking the trip at night is a truly unique experience. Once you’ve become an accomplished yachtsman, you’ll be able to pick up a yacht capable of sleeping four people from as little as 1,000 Euros a week. Try a short trip from Valencia to Alicante to get a real mixture of what Spain has to offer. From the built up Benidorm area, to the nature reserve of Dénia, via the headland of Cap de la Nau, you’ll certainly get some impressive photographs. For those who enjoy being taken care of, a chartered yacht with your own skipper is a great way to see the most beautiful coastal areas of Spain and its islands. A trip around Ibiza is an especially popular day out, and with the sailing taken care of you can take in the sights, enjoy a drink, or go for a snorkel without having to worry about anything. Your skipper can also take you to the white sandy beaches of Formentera island, or to the uninhabited S’Espalmador, where visitors can enjoy a natural mud bath, or just laze around on a beautiful beach with no buildings to spoil the landscape. Although public transport in Spain is pretty good, seeing the country and its islands by sea is the best option for those who love to relax and take time to enjoy the scenery. It doesn’t matter whether you’re a budget traveller, or have big money to spend on your trip, there are many comfortable ways to get around the coast, and explore the places that tourists love, as well as getting off the beaten track.